A big thank you to the Academy of Chocolate for hosting another spectacular evening to celebrate the 2018 awards. Excited to share with you that we will be doing the double this April……. double chocolate festivals, that is. After a long wait, the results have been released for the Academy of Chocolate Awards 2016 – here are ours! As you can see, Bunbun has been busily working away to pawmake* you a beautiful and unique Easter collection. There’s something for everyone, from our cute Funky Chicks filled with creamy white chocolate buttons to giant Sea-Dragon Eggs made with rich dark chocolate and a hidden centre of chocolate pralines. 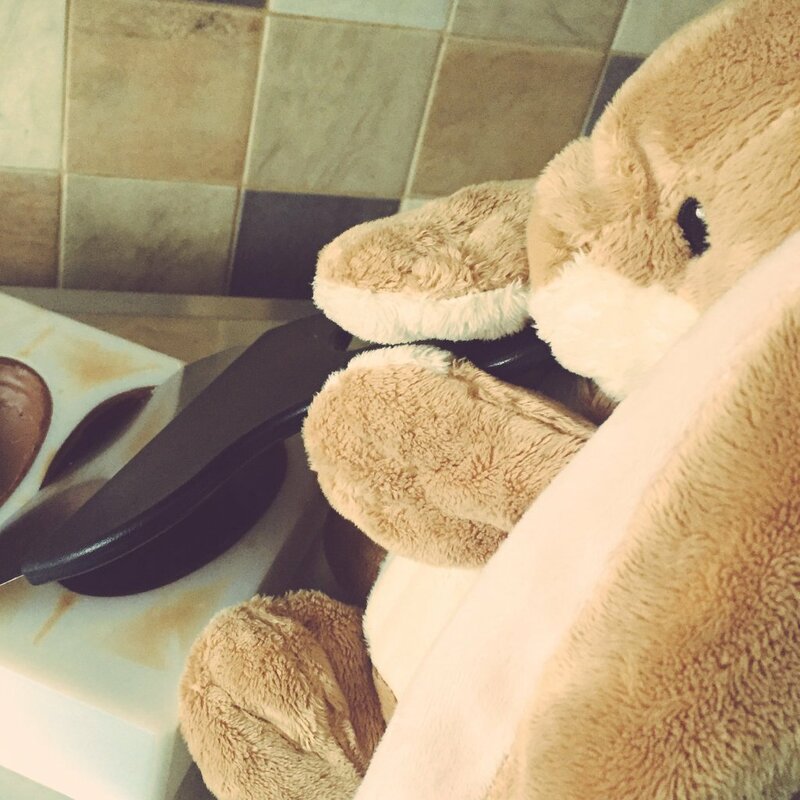 Read on to find out all about what Bunbun’s been busying himself with. 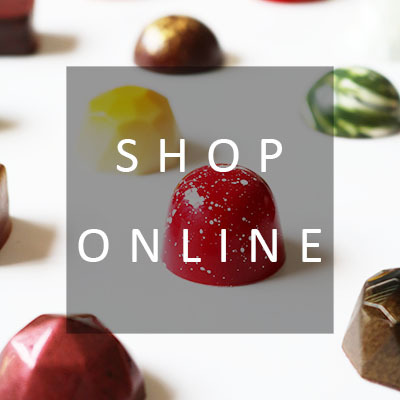 It’s beginning to look a lot like Christmas, and our online boutique is full of festive treats and gift ideas. For a classic Christmas gift, why not give our Christmas Chocolate Collection? There’s three box sizes to choose from, all handmade and filled with festive flavours including clementine & clove caramels, Irish cream & nutmeg and cinnamon praline. Phew, the BBC Good Food Show Winter 2015 has come and gone, and we survived a hoard of some 80,000 visitors over four days! This was by far the biggest show we’ve ever exhibited at, and a heck of an experience (if not an absolutely exhausting one). 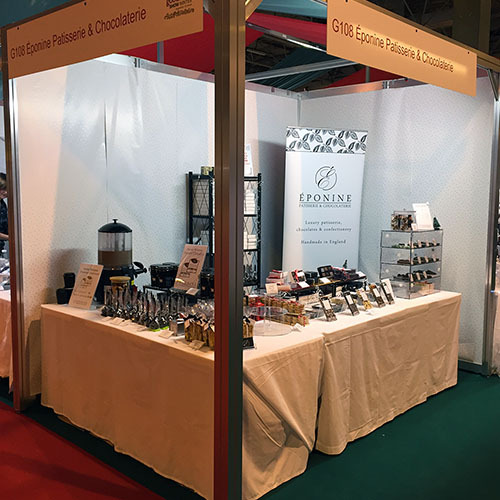 Our stand set up and ready to go at the BBC Good Food Show Winter, complete with chocolate cabinet and our new favourite toy – the hot chocolate machine. Just about recovered after a manic weekend at the Ideal Home Show at Christmas, held at Manchester’s EventCity. It’s hard to get away when you’re running your own business, especially if it’s food related. Somewhere between production, planning, stock management, juggling orders, dealing with suppliers and the constant feeling that there’s always more to do, it’s hard enough to find time to sleep, never mind jet off on holiday and leave it all behind. Sometimes, though, it’s great to just stop and take stock of where you are at. Even better is if you can add a little “research” to the mix, combining work and pleasure so you feel a little less bad about leaving your business baby on the back burner for a few days.